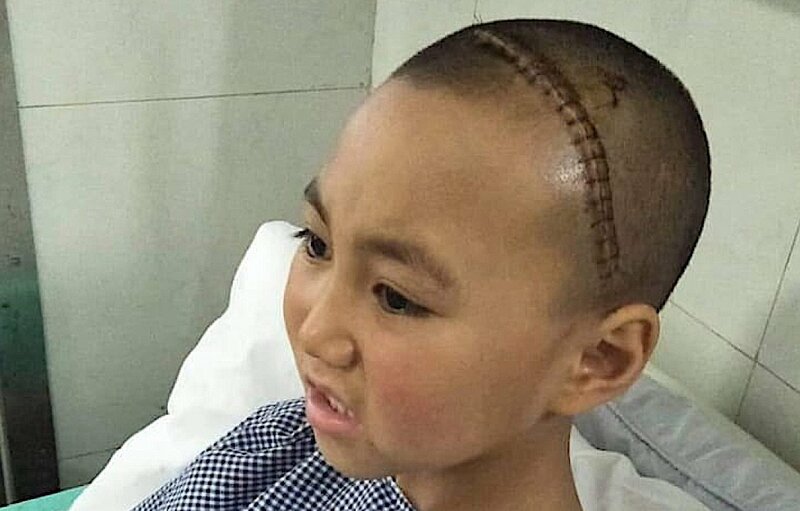 Young nun Stanzin before neurosurgery in India. I was at a White Heruka long life weekend retreat with H.E. Zasep Rinpoche when we abruptly became part of a “compassion-in-action” moment. 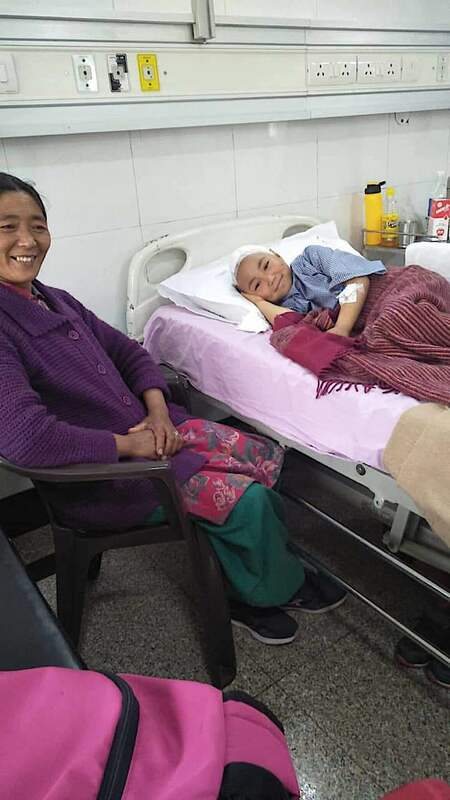 One of Rinpoche’s students — a volunteer with Gaden Relief — stood up and quietly asked if we could help fund the dangerous neurosurgery on a Nun named Stanzin. As an urgent request, it was unplanned, prompted by a desperate phone call from a nunnery in India. The issue then became cost. The nuns are not well off financially, and medical care is not fully covered. It was a wonderful moment of kindness-in-action, as every student at the teaching event pitched in. 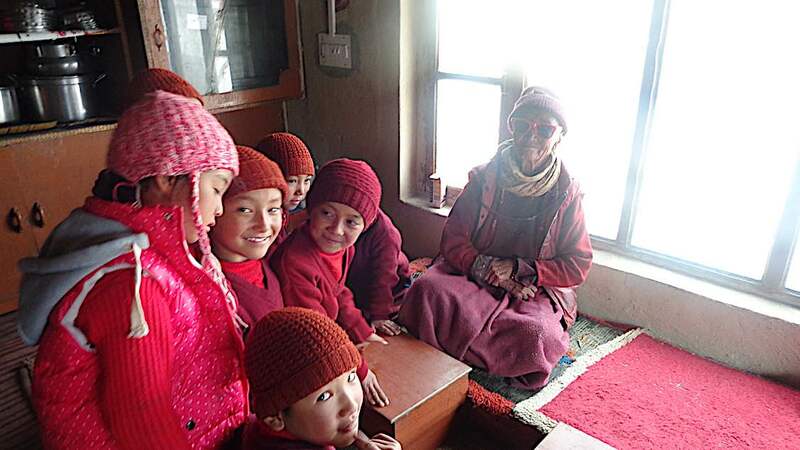 As the photo of the students at Gaden Choling below shows, they were delighted to help the young nun Stanzin. Irina, the student who requested help on behalf of the nun, is a volunteer at Gaden Relief, a 25-year-old, volunteer-run charity with a mission to offer humanitarian aid to the sick and the needy in the Himalayan region and Mongolia. However, as the request was urgent, there was no time to request funds the traditional way. 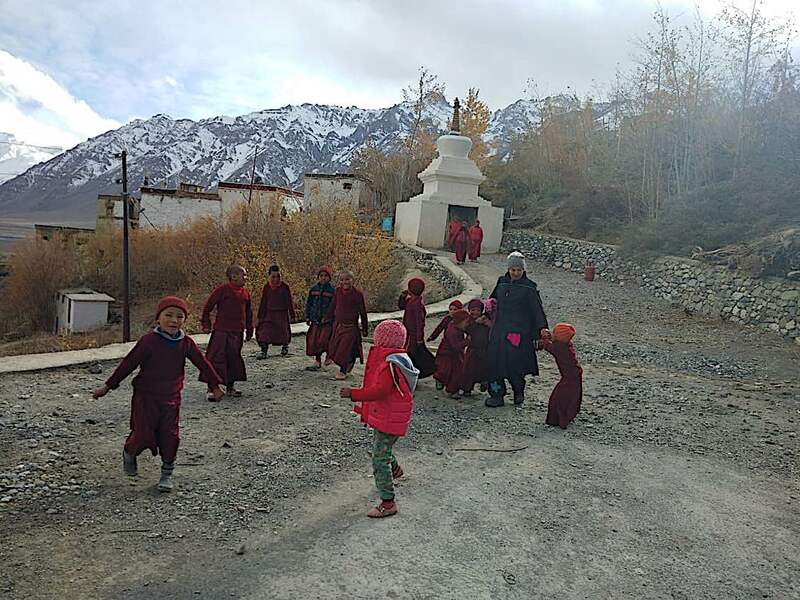 The young nuns at Zangla Byangchub Choling Nunnery in Zanskar Valley, Ladakh, India. Stanzin is one of the young nuns. Irina from Gaden Relief is conspicuously tall in the group. 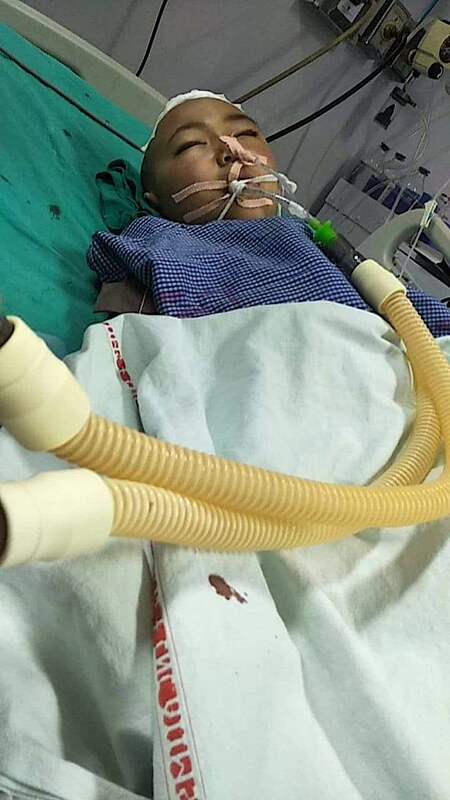 Young nun Stanzin is in recovery and good spirits after neurosurgery. 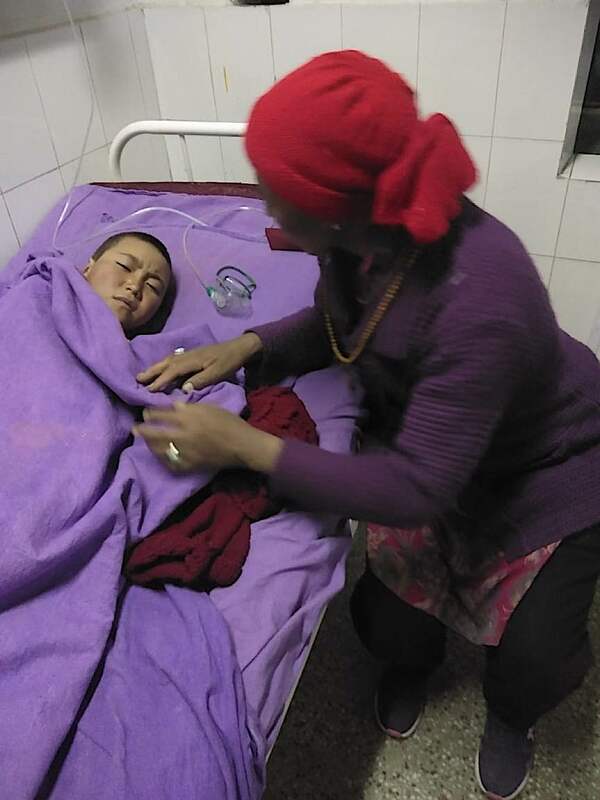 The students at Gaden Choling spontaneously gave to young Nun Stanzin in India, who needed urgent neurosurgery. In the centre H.E. Zasep Rinpoche. Gaden Relief has been active in India, Nepal, Tibet and Mongolia for 25 years, bringing aid to nuns and monks. 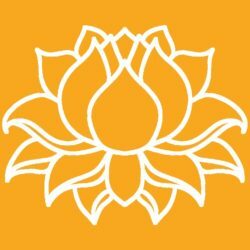 “Because we were moved by the suffering of Tibetans throughout Asia, and having recognized our tremendous debt to the ordained and lay communities of Tibetan Buddhists in keeping the rich teachings of the Tibetan lineage of Buddhism alive, the Gaden Relief Projects focus on alleviating their material needs. Gaden Relief is also helping Buddhists in India and Mongolia because of their deep spiritual links to Tibet. The nuns gathered at Zangla Byangchub Choling Nunnery in Zanskar Valley, Ladakh, India. 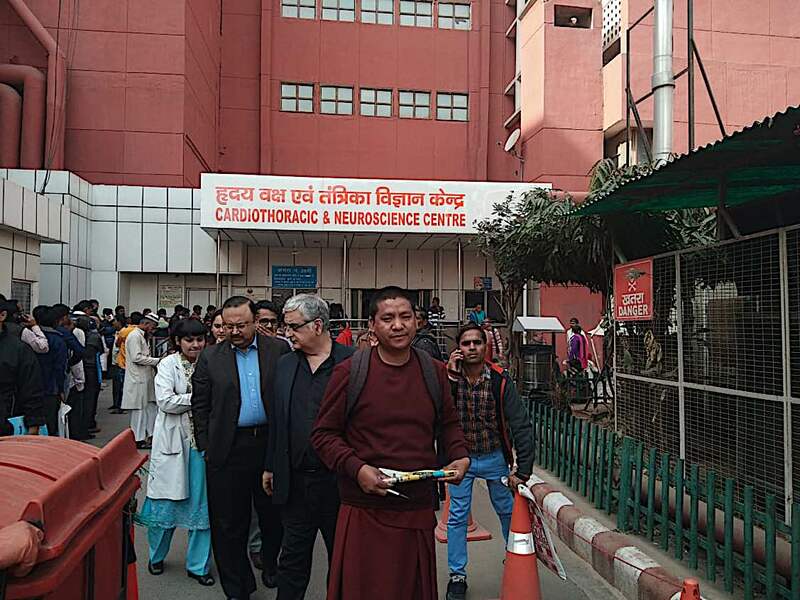 “Gaden Relief has become famous, despite its modest size, for its efforts in channeling medicine and funds to the Tibetan refugee community-in-exile and to monasteries in Tibet, India and Mongolia. Since 1988, Gaden Relief has raised over $500,000 in donations, of which over 95% reached Tibetans and Mongolians in the form of direct aid. Our very low overhead is possible because we are run 100% by volunteers. Stanzin happy with her mother in hospital. “Gaden Relief is non-sectarian in its outlook. Beneficiaries have come from all four major Tibetan Buddhist sects. The nuns of Zangla Byangchub Choling Nunnery. This is so beautiful. Thank you for sharing this story. I had no idea. 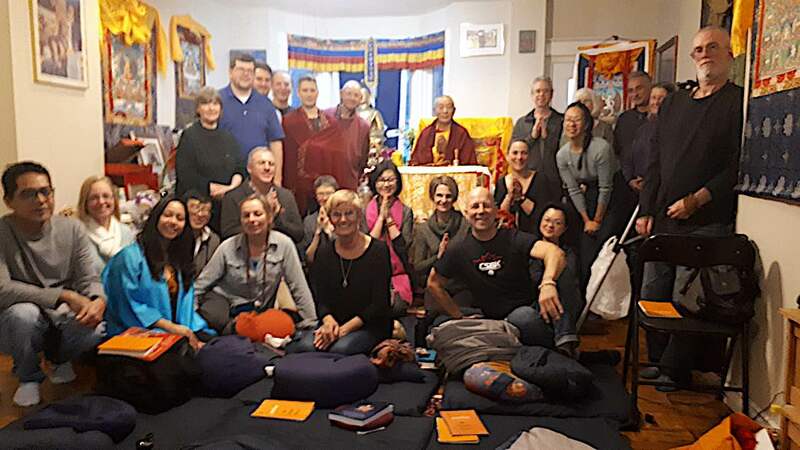 Thank you so much to the students of Gaden Choling and to H.E. Zasep Rinpoche for their great act of spontaneous generosity and love.